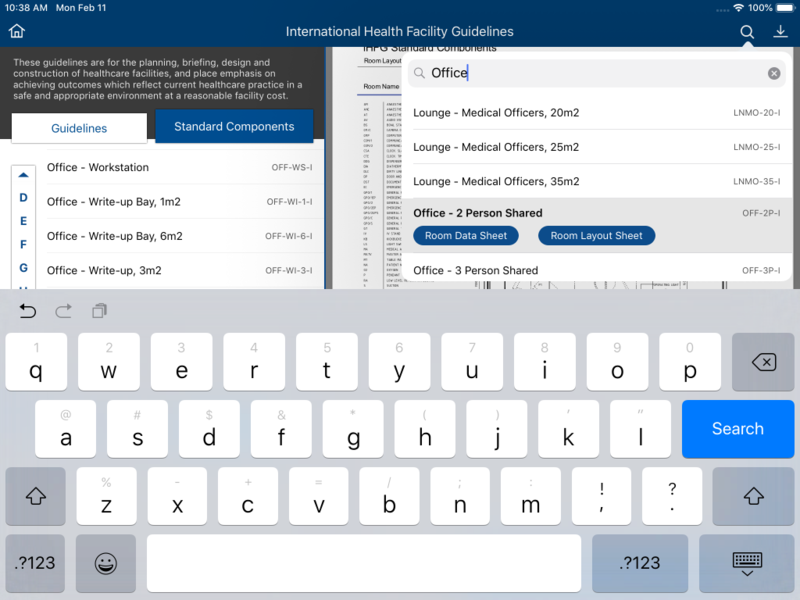 The International Health Facility Guidelines (iHFG) has released a new version of the iHFG app for iPad. The application provides users access to the International Health Facility guidelines, allowing for easy access on the go. Users will be able to access detailed information and best practice guidelines on a range of topics related to the design of health facilities including: Administrative Provisions, Health Facility Briefing and Design, Access, Mobility and OH&S, Infection Control, Engineering, Feasibility Planning & Costing Guidelines, Equipment Planning Guidelines, Health Service Planning Guidelines, Way-finding Guidelines, and more. 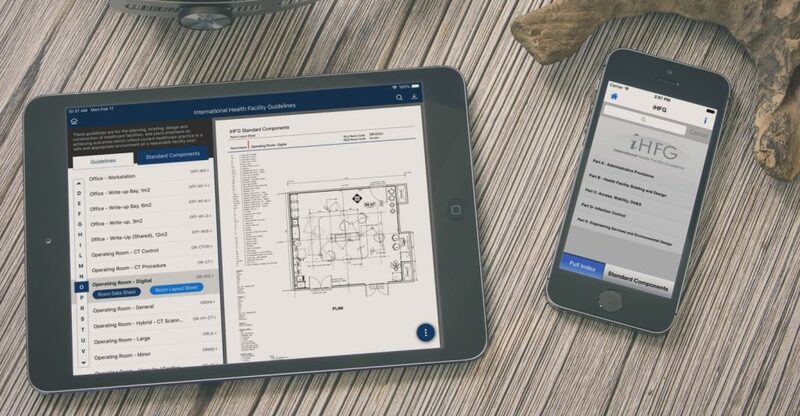 The International Health Facility Guidelines allow users access to hundreds of standard room data sheets and room layout sheets, the new iHFG iPad application can search these room data sheets and room layout sheets as well as allow users to download the data onto their iPad of offline use. The iHFG places emphasis on achieving outcomes which reflect current healthcare practice in a safe and appropriate environment at a reasonable facility cost. They represent patient focused, research based, modern and efficient planning principles. The International Health Facility Guidelines are continually reviewed, updated and expanded. The International Health Facility Guidelines are frequently adopted and customised by health authorities and government ministries of health accross the world. For more information on the International Health Facility Guidelines contact HFBS today.